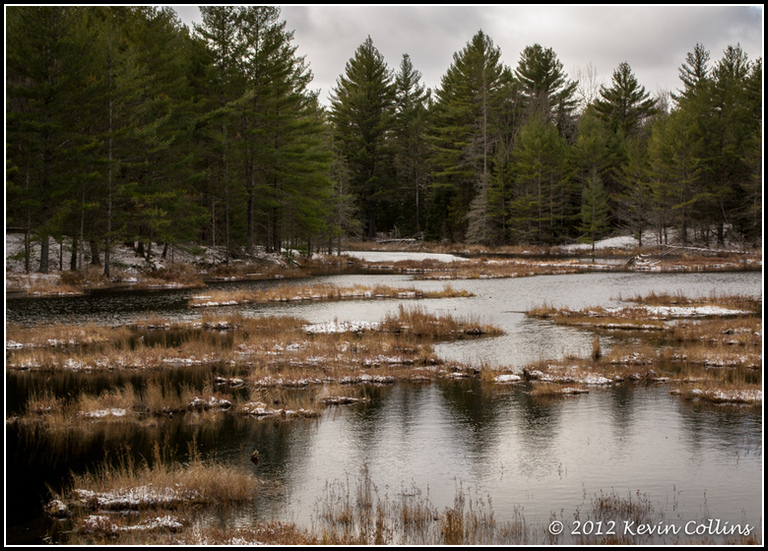 Driving home from Minden, Ontario the other day I passed a couple ponds on the side of the road and decided to stop and snap a couple shots. 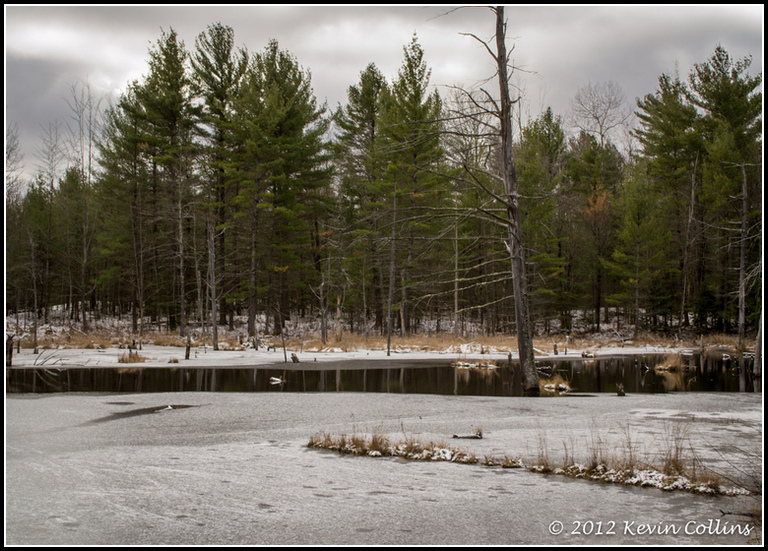 I couldn’t believe that ice had almost taken over a couple of the ponds, (2nd and 3rd shots). 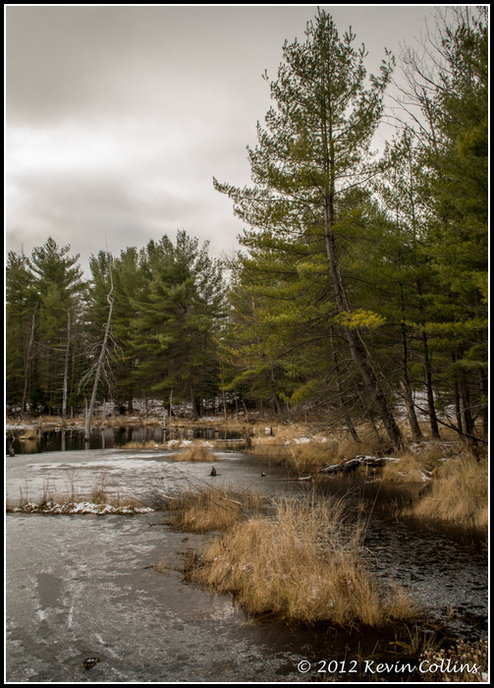 I wasn’t going for anything particular in these shots, just trying to capture a typical landscape scene that I think is fairly representative of the area around Minden. Really nice shots. The first one’s my pick, though.